Anyone who thought the future would look like an episode of the Jetson’s will be glad to know that 2013 was great in terms of electric vehicle sales. According to an article by Scientific American, more than 90,000 fully electric cars and plug-in hybrids were purchased over the course of the year. Those sales are almost double from those of 2012. Factors that seemed to have affected sales include the bankruptcy filings of American electric vehicle start-ups Coda Automotive and Fisker Automotive, the latter of which received a loan from the Department of Energy. 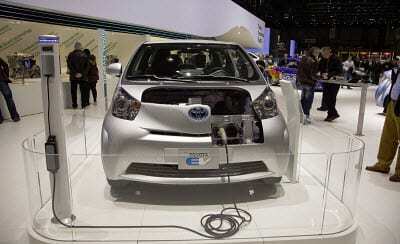 EV manufacturers also lowered prices across the board in hopes of driving sluggish sales. The tactic worked and more and more electric vehicles were driven off lots all throughout the United States. This was especially beneficial seeing as fuel costs went down – albeit not much – in 2013 lessening the need for an alternative, fuel-efficient vehicle. Jeremy Acevedo of Edmunds.com said in an article with Scientific American that electric vehicle manufacturers are so invested in the technology behind their vehicles that they have lowered costs to make the vehicles more affordable. Nissan Motor Company, makers of the Leaf, experienced 130 percent increase in sales of the Leaf selling 22,610 vehicles. This was completed after dropping the price by 18 percent to $28,800. General Motors Company dropped the price of the Chevy Volt by $5,000 to amp up sales, which resulted in just more than 23,000 sales. This was still down from the previous year by a little more than one percent, however, it out-sold the Leaf. Acevedo said that Tesla Motors sold approximately 20,000 units of the Model S, which is especially impressive considering the Model S was involved in three gnarly fires in 2013 and costs around $85,000. Toyota dropped the price of the Prius Plug-In by $2,000, but still experience a decrease in sales from the previous year. However, the gasoline powered Prius hybrid sold a record-amount in 2013 with 345,000 units sold. Toyota accounts for more than 60 percent of all hybrid sales in the industry. Another signal that things in the electric vehicle market are moving in the right direction is the fact that there are more options on the table, not less. Ford offered the Fusion Electric, Honda has the Accord Plug-In, then there’s the Cadillac ELR, Chevy Spark EV, and FIAT 500e Electric, all of which came out in 2013. While Toyota already leads hybrid sales, the company plans on basing its electric vehicle strategy around hydrogen fuel-cell vehicles. Toyota’s current hydrogen fuel-cell vehicle debuted in 2013 has the ability to travel 300 miles and emits nothing more than water. In 2015, the hydrogen fuel-cell will be produced. More than $200 million has already been committed to building 100 hydrogen fueling stations by 2024. Dana Rasmussen write about environmental news, alternative vehicles, and the importance of gap insurance.